For many decades Chippewa has been evolving their engineer boots for the very best in authentic men's footwear for bikers everywhere. The Chippewa Men's 27899 USA-Made Engineer Black Leather boots are specifically crafted to handle motorcycle applications. Discover ... (see full details) (see specifications) #CHP27899. For many decades Chippewa has been evolving their engineer boots for the very best in authentic men's footwear for bikers everywhere. The Chippewa Men's 27899 USA-Made Engineer Black Leather boots are specifically crafted to handle motorcycle applications. Discover the technology that so many people like you have been enjoying for years. Black odessa leather uppers used in these 11-inch pull-on shoes surround your feet and legs in breathable strength. The high rise of the men's boots offers a barrier of abrasion-resistant to a greater part of your body than other work footwear in this category. The black leather is rugged and easy to maintain to keep that classic look you love. A minimal amount of break-in time lets you start enjoying a great fit almost immediately. At the base of these motorcycle boots is Vibram rubber. The Vibram Nitrile yellow plug outsoles are made with a rubber compound that's highly resilient and durable, reducing shock from foot strike and foot fatigue. Known around the world, the Vibram brand is a leader in high-performance soles. The steel toe boots are ASTM F2413-11 rated. For the strongest protection where you need it most, wearing these black boots will give you coverage against impact and compression. Goodyear Welt construction firmly attaches this powerful pedestal to the rugged uppers. This process enhances lateral stability and is oil- and slip-resistant. Repairable and strong, the USA-made boots give you excellent traction in a variety of conditions. These features combine together to keep you on your feet and in control all day long. For even more support, there are steel shanks in place, ready to give you the reinforcement your arches need. The midsoles feature a 4 iron rubber/6 iron robus combination for additional stability. Finishing off the sleek exteriors of the Chippewa boots are nickel non-tarnishable buckles. You'll be riding with both protection and style soon enough! Enjoy the ride even more with the Chippewa Men's 27899 Slip-On Steel Toe Engineer American-Made Boots. Order your pair from the Working Person's Store today. Fits true to size and width. The leather is very thick and sturdy.I am very pleased with the quality and costruction of these babies. I would highly recommend them if you're looking for a tough boot that will last through years of abuse, not to mention their pleasing appearance. Ridiculously well made, over-engineered really. The way everything used to be American made. Fit is a bit tight but eventually break in. Don't be a Chinamart Cheapskate - Buy American with confidence. Great fit. great quality. I would recommend these boots to anyone. Very rugged and good protection. Easy break in period. I would recommend a high quality pair of high socks( I bought the Dan Post boot sock, they work very well) because they will pull your socks down when walking. Overall very happy. Excellent pricing and a high quality product, very helpful customer service agent. .. not much more I could ask for.. 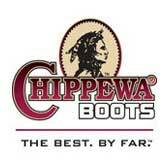 I definitely recommend workingperson.com and Chippewa engineer boots...two thumbs up! Chippewa Boots: Men's USA-Made Steel Toe 27899 Slip-On Engineer Work Boots is being added to your cart.